If you have problems with Windows 7 messing up the colours in Age of Kings: The Conquerors, turning the grass neon sparkled and the water brown, this utility is the solution for you. This file contains a batch file which fixes the colour problems by exiting explorer.exe before the game starts, and automatically restarting it once you close AoK:TC. Put the batch file, named "The Conquerors" in the 'age2_x1' folder in the main AoE2 folder on tyour harddrive. The file *has* to be put here or the effect will not come. You can then add a shortcut to the batch file onto your desktop, the Start menu, or wherever you want it. When you want to play AoK:TC without the colour issues, open the batch shortcut or the original batch file, NOT the original shortcut, to start the game. DOES THIS WORK ON VISTA TOO? According to one chap who commented on it, yes it does! LOLOL, WHY DID YOU TAKE A PICTURE OF YOUR SREEN WITH A CAMERA AND NOT "PRINT SCREEN"!? Hope this can be of some help! If my brother has this on his PC (I have XP so I don't need) will it work Multiplayer? I think it should but I am just checking. If you open this file and play multiplayer from there, then yes, it should work. It auto starts up when you turn on your computer (you can turn that off too) and when it detects age it kills the explorer, then when it doesn't it starts it back up. Nice work, though I'd planned to release my own fix. Still, good job. This solution works fine for me when I open it with the batch file. But I have a question. When I launch a game on GameRanger it seem to open the common AoK:C start file and therefor the graphic problem remains. But is there a way to go around this problem with this batch file? 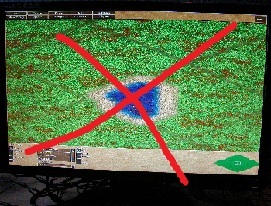 I have Windows 7 on one of my computers at home and playing Age of Kings on it is a nightmare due the funny mucked up colours. However this Utility by Lord Basse is a making my nightmare a beautiful dream come true. The Window 7 Colour fix by Lord Basse is a batch files which fixes all the colour problems you get when you play Age of Kings on Windows 7. The utility is perfect because it fixes the problem and works perfectly. I have found no bugs on it or any other glitches. All in all this is a perfect utility. Thanks Lord Basse for this fabulous fix! This worked with me but i think you dont need this. You should check this vid from youtube: http://www.youtube.com/watch?v=5jiTP8IDGaw Theres info how to fix "The Problem"